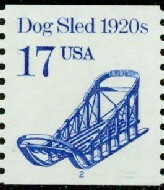 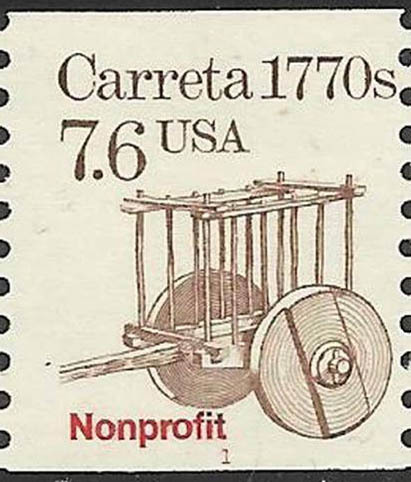 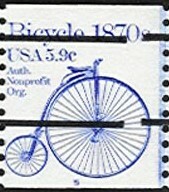 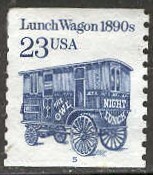 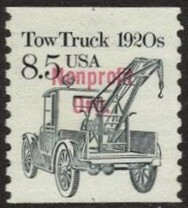 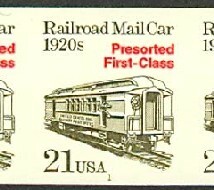 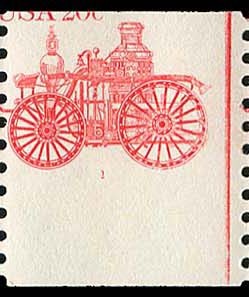 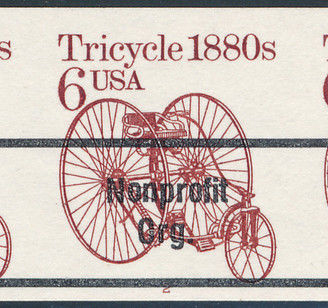 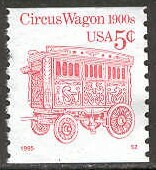 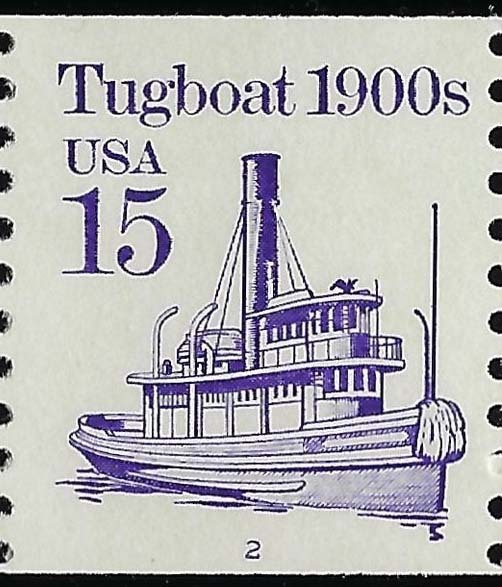 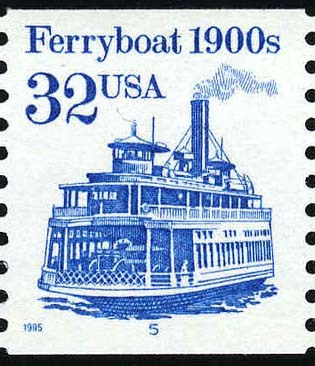 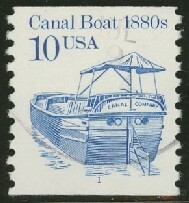 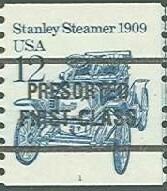 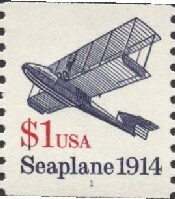 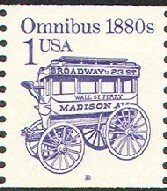 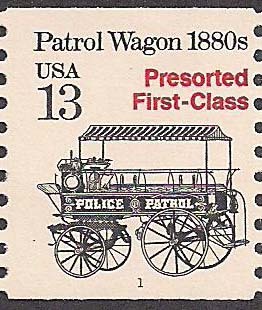 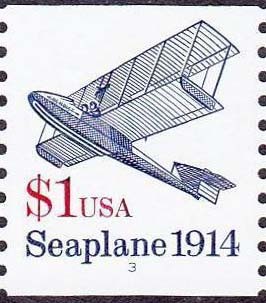 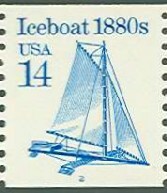 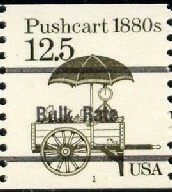 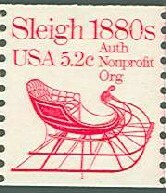 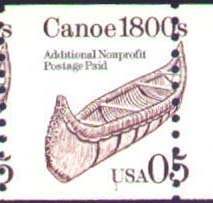 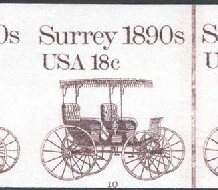 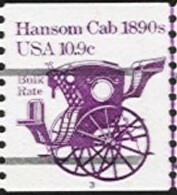 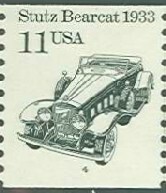 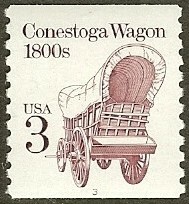 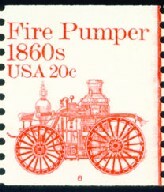 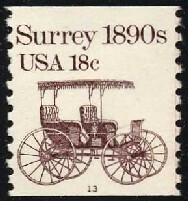 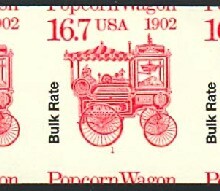 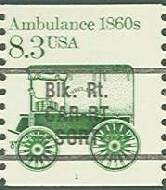 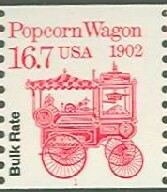 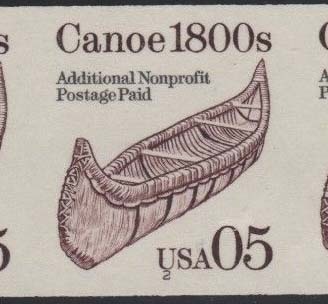 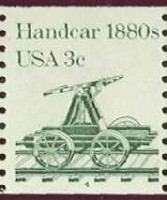 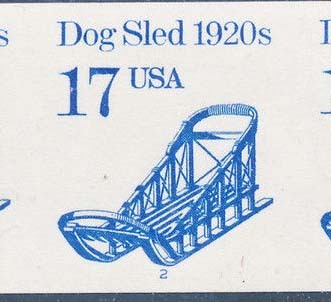 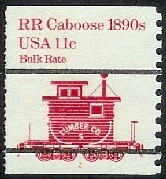 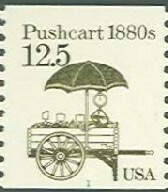 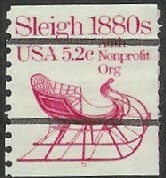 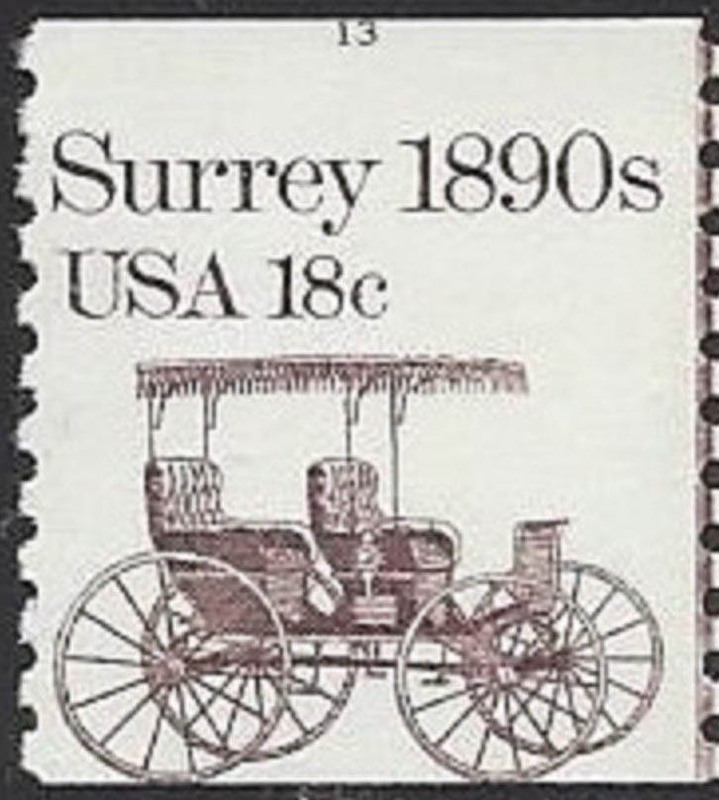 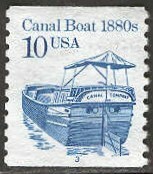 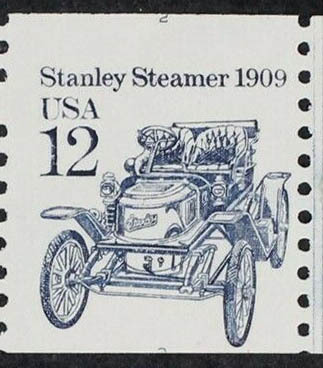 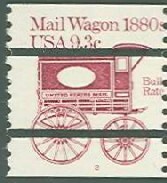 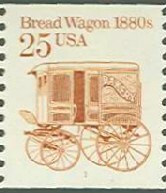 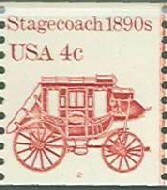 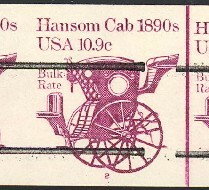 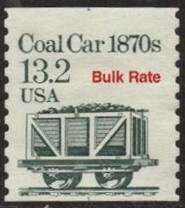 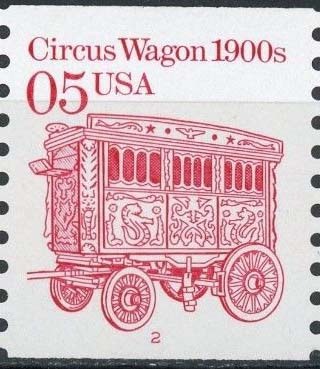 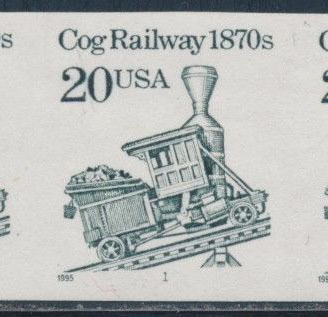 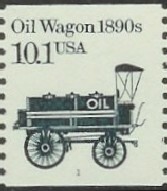 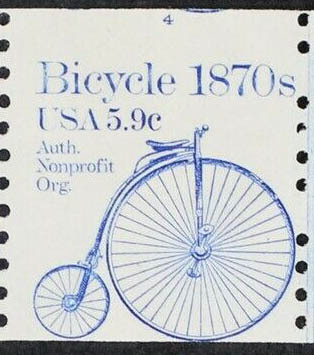 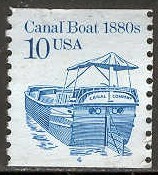 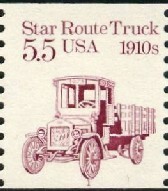 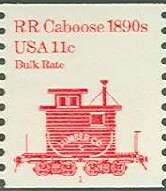 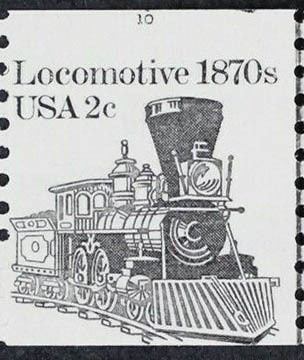 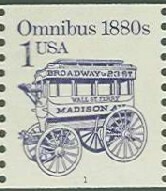 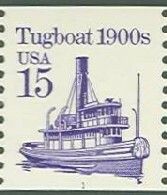 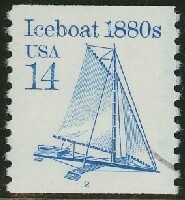 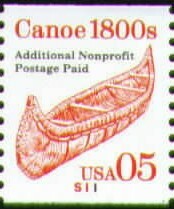 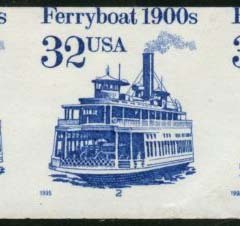 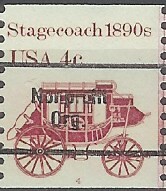 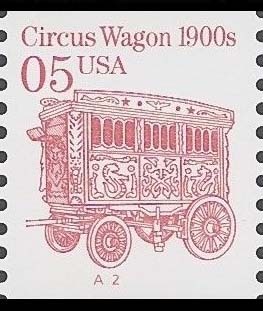 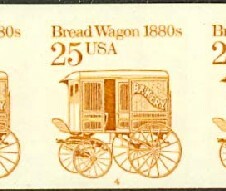 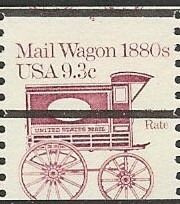 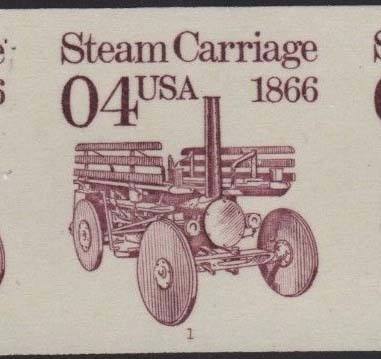 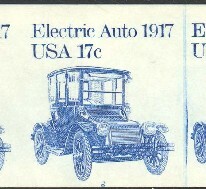 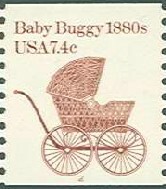 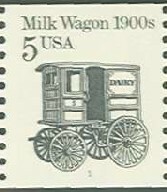 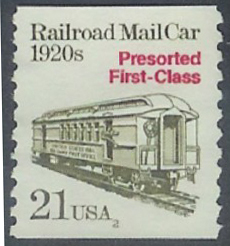 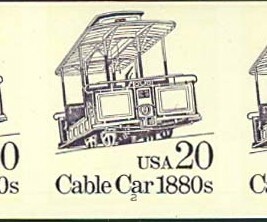 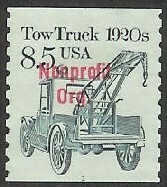 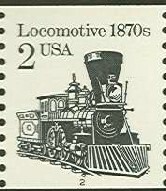 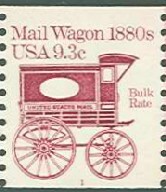 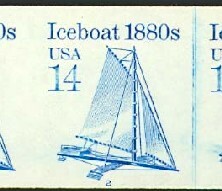 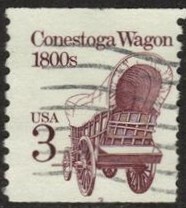 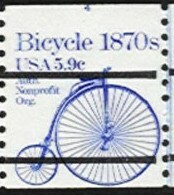 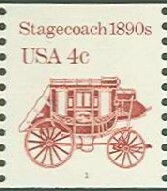 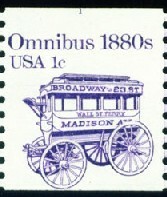 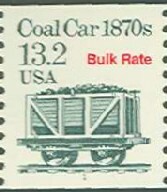 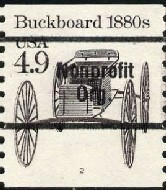 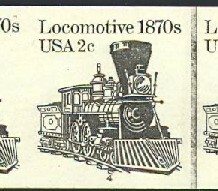 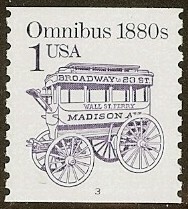 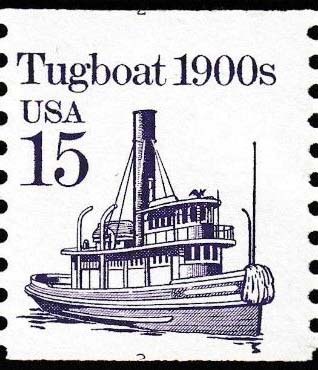 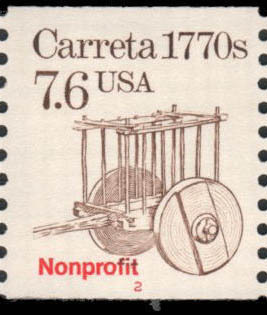 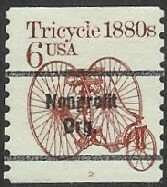 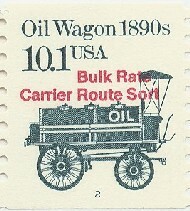 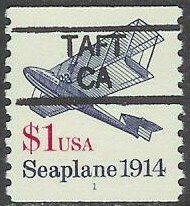 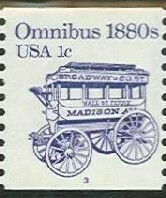 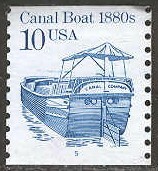 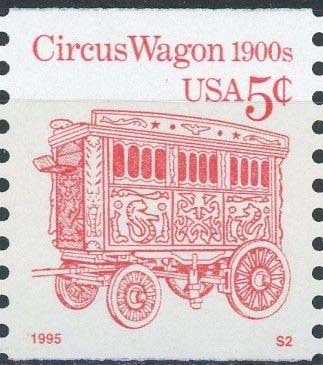 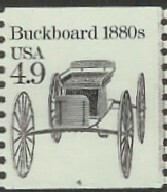 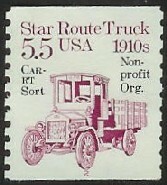 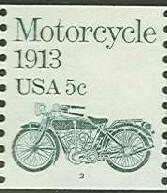 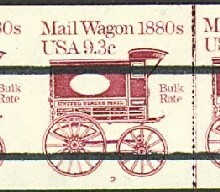 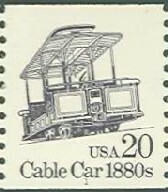 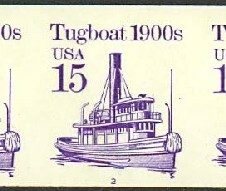 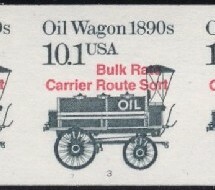 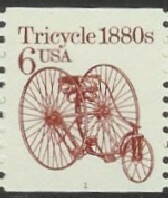 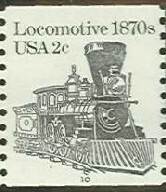 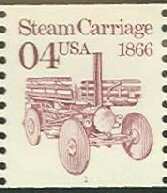 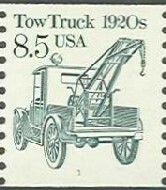 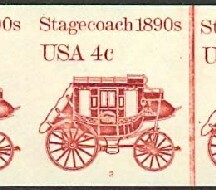 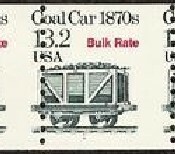 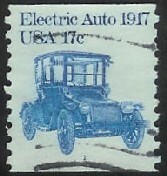 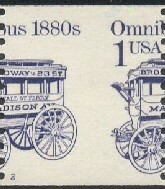 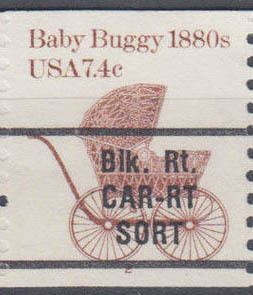 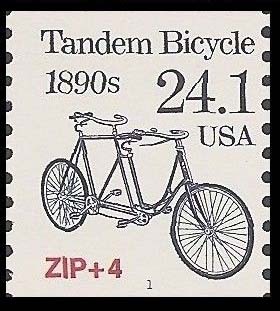 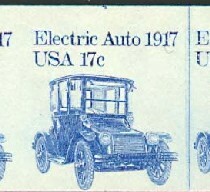 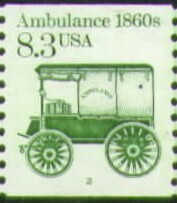 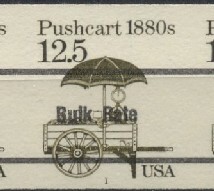 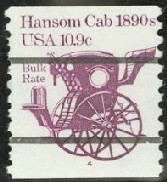 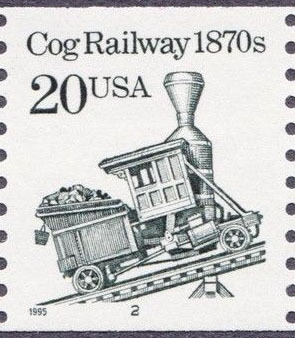 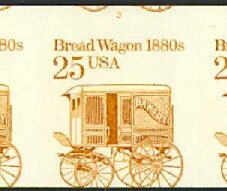 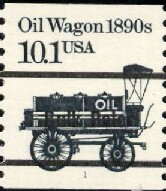 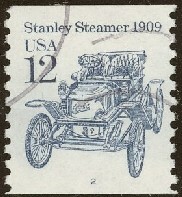 By far the largest series ever issued by the U.S., these water-adhesive coil stamps all featured various forms of transportation. 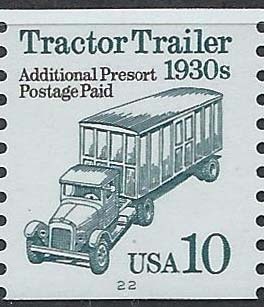 With precancels, tagging, gum and other varieties thrown in, the transportation coils comprise a fertile area for the casual collector or the specialist. 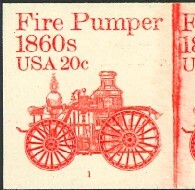 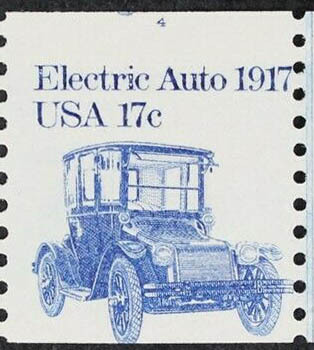 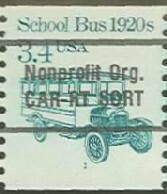 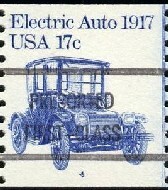 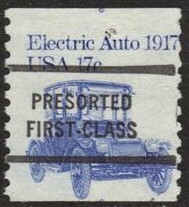 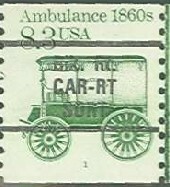 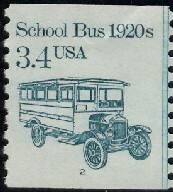 Scott 2225b var, 1¢ Omnibus PNS, redesigned, plate number 3 appearing as "D" or "B"
The redesigned stamp is narrower and does not have the joint line. 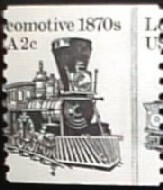 Although the tagging cannot be seen in the web site scans, these plate numbers appeared only on the specific tagging method, thus positively identifying each stamp variety. 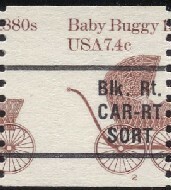 Although the tagging cannot be seen in the web site scans, these plate numbers positively identify the tagging method. 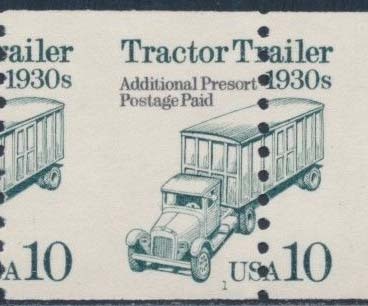 Although the tagging cannot be seen in the web site scans, the plate numbers can often positively identify the tagging method.